Drizzle a slice of bread with olive oil and place under the grill until each side is toasted. 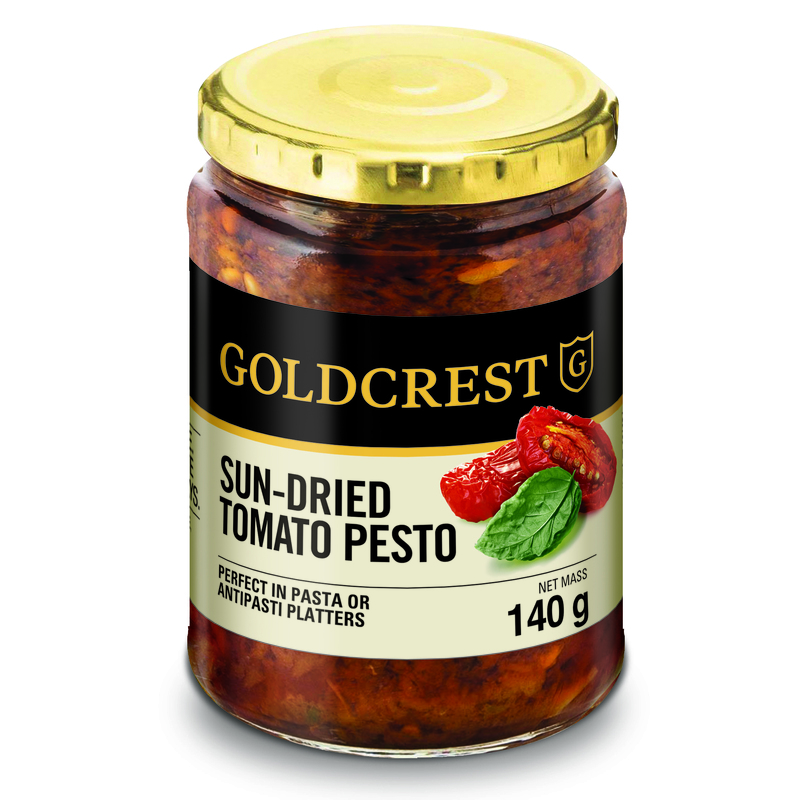 In a small jug mix the GOLDCREST sun-dried tomato pesto with little olive oil to loosen it. Fry the eggs sunny side up. 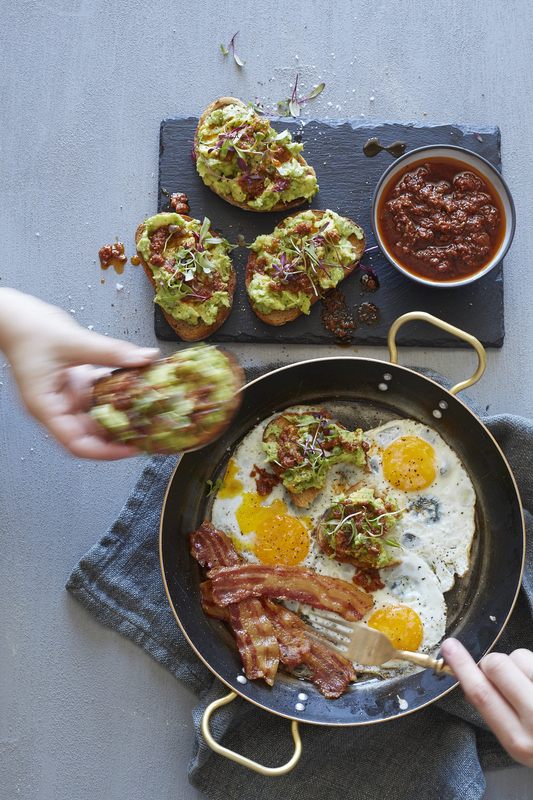 To assemble the breakfast place the smashed avocado onto of the sourdough and top with GOLDCREST pesto. Then add the fried egg and bacon and garnish with parsley.